Chrome plated brass with ceramic discs. Working pressure 0.5-6.0 bar. Height as fitted 670mm with spray function and separate filling arm. 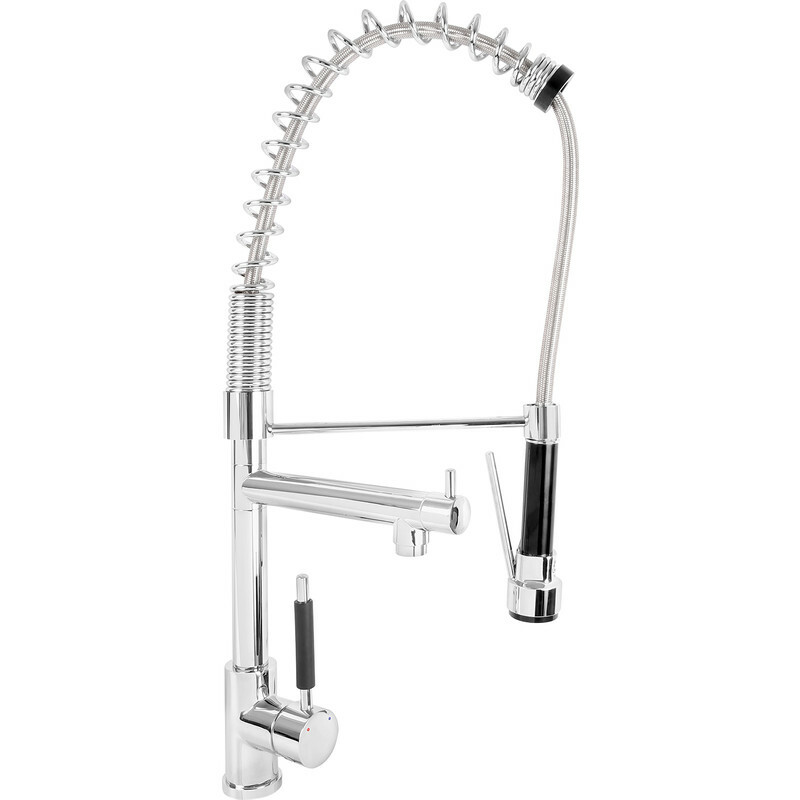 Cafe Royal Kitchen Sink Mono Mixer Tap is rated 4.3 out of 5 by 3. Rated 5 out of 5 by Keith E from What value Bought this for a kitchen upgrade, best value I could find. Very satisfied with the quality. Rated 3 out of 5 by Lime gold from Great product but beware ... The tap & functionality are great - the instructions rubbish. I should emphasise the size & height - it's big & fitted to a standard stainless steel sink it wobbles around. It doesn't come with a support bracket & now I have to fabricate something.